Ireland's Jack McGrath celebrates after winning the Grand Slam during the NatWest 6 Nations match at Twickenham Stadium, London. PRESS ASSOCIATION Photo. Picture date: Saturday March 17, 2018. See PA story RUGBYU England. Photo credit should read: Paul Harding/PA Wire. RESTRICTIONS: Editorial use only, No commercial use without prior permission. Leinster could lose another of their 2017 Lions after it emerged that Jack McGrath is proposing a shock move to Ulster next season. The loosehead prop is understood to have another season remaining on his national contract, but there are growing fears behind the scenes at his home province that he may be allowed to leave prematurely in search of more game-time at the Kingspan Stadium. It is understood that McGrath and the IRFU have been frustrated with his lack of starting opportunities at Leinster and he has been pitched to Ulster as a solution to their need for more front-row resources. McGrath is understood to have initiated the move and talks are at an advanced stage, but a deal has not yet been finalised. Dan McFarland yesterday added Worcester's Irish-qualified South African prop Gareth Milasinovic to Ulster ranks for next season. McFarland's stocks at loosehead are thin and he would like to add experience to the ranks to complement young gun Eric O'Sullivan (23) who has thrived this season. Rather than recruiting from abroad, the IRFU appear to see McGrath as the ideal solution. 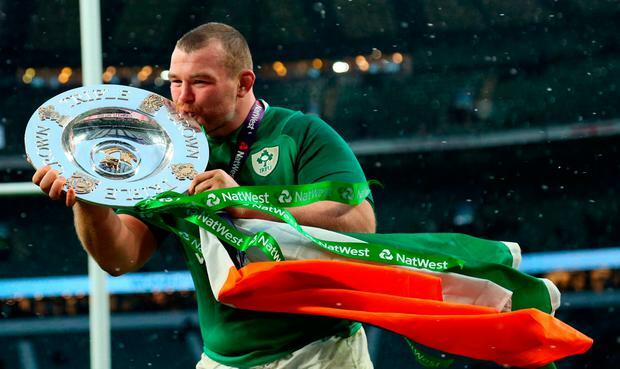 At 29, the prop has won 53 caps for Ireland and came off the bench in all three Tests in the drawn series two years ago but his stock has fallen this season. Already behind Cian Healy in the pecking order having started regularly in previous seasons, the prop was left out of the match-day squad for the European Champions Cup meeting with Toulouse in January with Ed Byrne preferred. McGrath, who underwent hip surgery in November, then found himself behind Dave Kilcoyne in the Ireland pecking order for this Six Nations and his only appearance to date during the Six Nations came off the bench in Rome. The northern province already have a host of Dubliners on their books, with John Cooney, Jordi Murphy and Marty Moore the highest profile of the southern contingent, while Leinster also have a host of ex-players on the books of Connacht and Munster. The province are already losing Seán O’Brien after the World Cup and McGrath would represent another experienced departure if he chooses to leave. Meanwhile, Johnny Sexton has said Ireland are “frustrated” at their mystifying slump in form and he apologised for letting his temper boil over when substituted during Ireland’s patchy win against Italy. “Nobody cares more than us. That’s the bottom line. I’m sorry if I let my frustrations boil over at times but that’s just part of me. People are going to say you shouldn’t act frustrated when you’re coming off. And the Irish out-half has stressed that Joe Schmidt’s decision to announce his departure last year is not a factor in the team’s current dip in form. “It’s just been business as usual, little things here and there just haven’t gone our way. We’re working incredibly hard to put it right,” he told Virgin Media One.